Which gun bills could be important in Congress next year? The November midterm elections will bring a wave of new faces into Congress — 100 new House members who make up a class with more diversity and more women than ever before. It is also more pro-gun-control. That’s a byproduct of the new Democratic majority creating what advocates call a gun-sense majority. 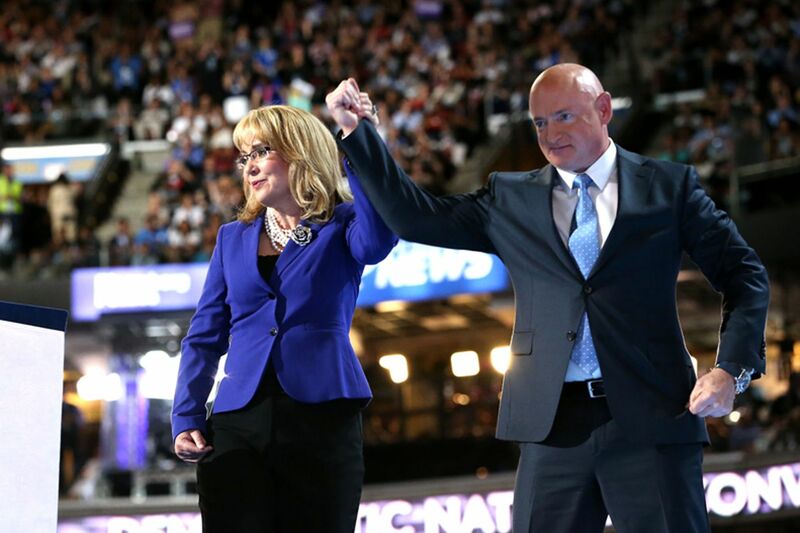 According to the group Giffords: Courage to Fight Gun Violence, 39 seats that belonged to politicians backed by the NRA were flipped by candidates who support gun control. “One of my top priorities on day one will be passing common-sense gun legislation to save lives and reduce gun violence in our nation,” Rep.-elect Madeleine Dean (D., Montgomery) tweeted in late November. She and other incoming freshmen from the Philadelphia region have pledged support for gun-related legislation. “We need federal funding for gun safety research to address this public health crisis,” tweeted Rep. Mary Gay Scanlon (D., Delaware). Democrats have announced that their first effort will be an anti-corruption bill, including campaign finance overhaul, expanded voting rights, and stronger government ethics rules. But Democratic leader Nancy Pelosi (D., Calif.) and others have said a background-checks bill would be among the first orders of business for the new House. Meanwhile, the last year saw a push for some gun-rights legislation, including various school safety measures such as arming teachers. They’re likely to come up again this session. Here are four bills that gun-control groups have made a top priority, and one gun-rights bill that’s more likely than others to resurface in 2019. Universal background checks: Bills to expand background checks would fill in a gap in the current background-check law: They seek to require checks on all commercial firearm sales, including private sales — such as those at gun shows or through the internet. This is a top priority for gun-control advocates, who have said they believe this bill has a chance of seeing a vote in the Senate if passed by the House. Fund gun violence research by the Centers for Disease Control and Prevention: Whether the CDC can research gun violence with federal funding has been an issue for years; now, the Trump administration has indicated that it isn’t prohibited from doing so (and Obama signed a 2013 order for the CDC to do the work), but the CDC needs dedicated funding in order to pick up the research. Ban assault weapons and high-capacity magazines: Gun-control supporters have pushed for regulation of semiautomatic weapons since the 1994 assault weapons ban expired 14 years ago. This is one of the top three legislative priorities of the Brady Campaign to Prevent Gun Violence; a ban would encompass semiautomatic guns and magazines that hold more than 10 rounds of ammunition. An outright ban on certain types of weapon generally has less bipartisan appeal in today’s climate than gun issues related to mental health or domestic violence, so this may be the least likely piece of legislation of the five to be passed by the House. Bills were introduced by gun-control supporters in the Senate and House in 2017 and never came up for votes. Extreme risk protection orders: This law would allow family members to request that a court prohibit people from possessing or buying firearms if relatives demonstrate that they are a danger to themselves or others. Meant to address mental-health issues, the idea has gained momentum, with 13 states passing such a law. A scientific study of Connecticut’s law estimated that one suicide was averted for every 10 to 20 guns seized. Concealed-carry reciprocity: A reciprocity bill passed in the House in 2017 but was not taken up by the Senate this year. Supported by gun rights advocates, reciprocity legislation would allow anyone with a permit to carry concealed weapons in their home state to do so in any other state that allows concealed-carry.